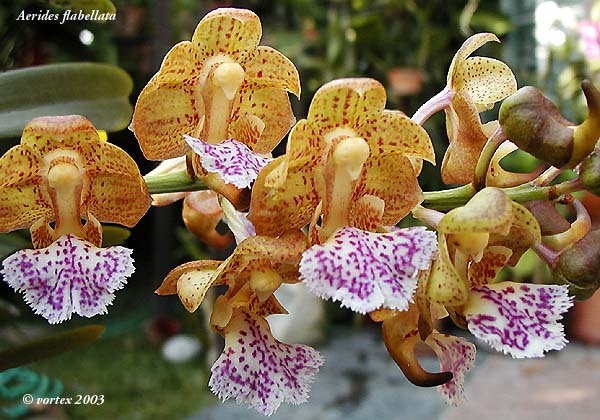 SITE LAST UPDATED 12/06/97 This Site Dedicated to Orchid Lovers Everywhere! 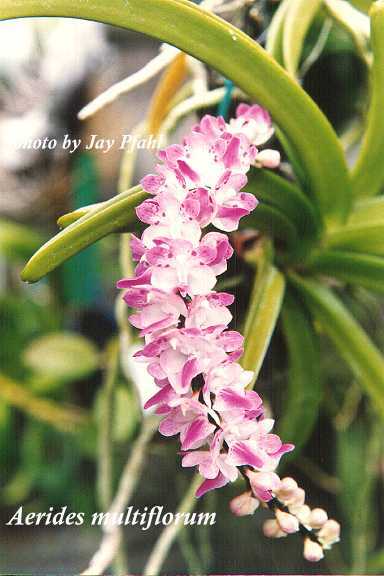 Aerides is found in most of Asia and out to the Philippines and has 19 species, mostly fragrant. 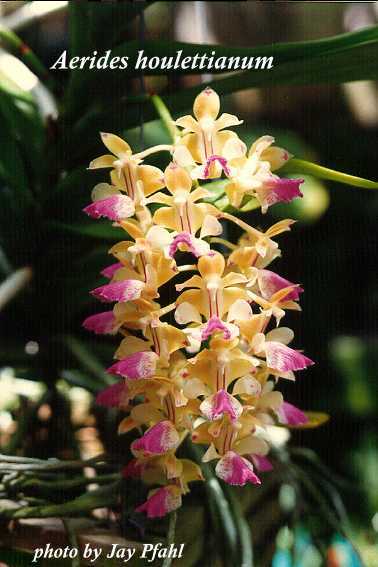 They are similar to Vanda in plant form yet their flowers have a forward facing spur. They are best grown in wooden slat baskets with little or no potting media. 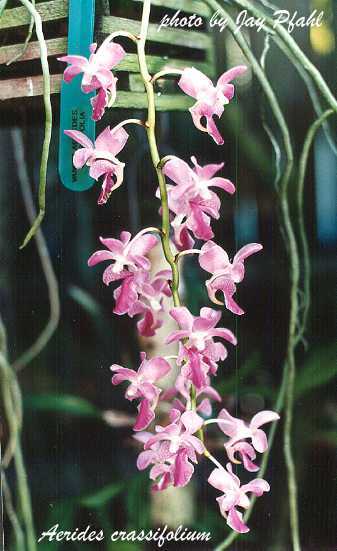 They are typically intermediate to warm growers. Species names that are synonyms of an accepted species are denoted with a ~. ~cristatum Wall. ex Hk.f. 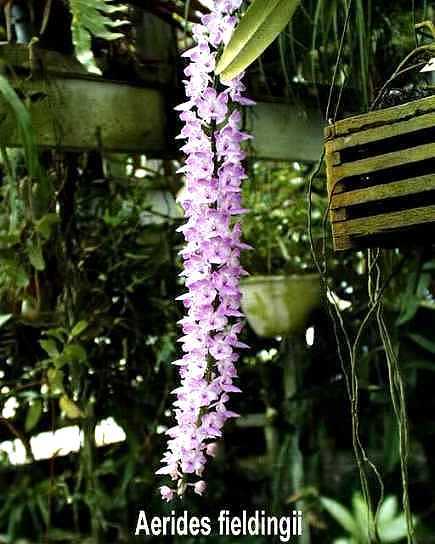 - See Vanda cristata Lindl.